The Eagles’ Their Greatest Hits 1971-1975, released in 1976, has finally surpassed Michael Jackson’s Thriller to become the best-selling album of all time, reports the AP. The Recording Industry Association of America revealed on Monday that the album had reached the 38x platinum mark, meaning that it had been sold and/or streamed 38 million times. The album, boasting hits such as “Witchy Woman,” “Lyin’ Eyes” and “Take It Easy,” had previously been evaluated by the RIAA in 2006, at which point it was certified at 29x platinum. These historic sales pass those of Jackson’s Thriller, last evaluated in 2017. As of February of 2017, Thriller became the first album in history to pass 30x platinum, with the RIAA reporting 33 million sales/streams. The 1982 release carries some of Jackson’s greatest hits, such as “Billie Jean,” “Beat It” and, of course, “Thriller,” but it now sits at second place with its 33x platinum certification. As of early 2016, RIAA re-formulated the sales numbers used to reflect streaming and downloads. The platinum certification was once equivalent to selling one million albums or tracks for a platinum album or record, respectively. Now, with streaming and downloads included, this sum blends the sale of entire albums (one album sold equals one unit), sales of track equivalent albums (ten tracks sold equals one unit) and streaming (1,500 streams equals one unit sold). 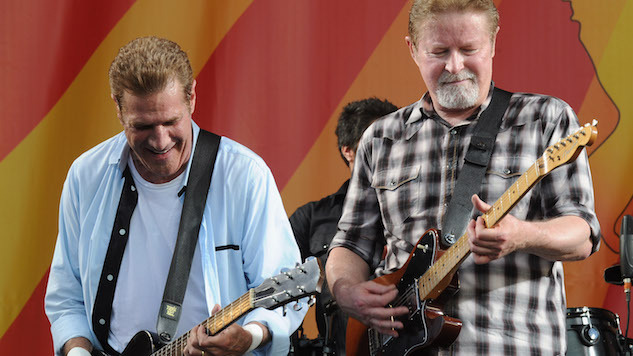 The success of the album points to the enduring power of the band’s rock-country fusion through their initial break-up in 1980, their reunion in 1994 with Henley and Glenn Frey as the only remaining original members, and the death of Frey in 2016. Sitting in third place is another famed Eagles release, Hotel California, with a 26x platinum certification.